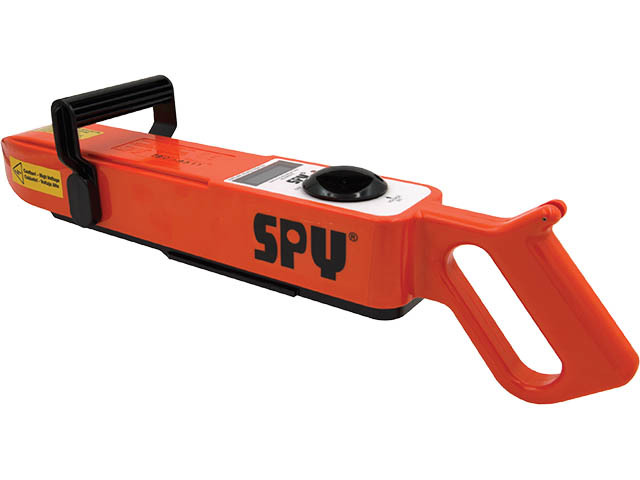 Durable, Reliable and Dependable, for decades the SPY® DC Holiday Detector was built to handle the most EXTREME environments! INFINITE VOLTAGE SETTING allows you to set the voltage exactly to the level you desire for the coating you are inspecting. Not six settings, not twenty… any setting you desire over the complete range of each detector model. Whatever the pipe size, two inches through sixty inches, you have at your control the exact voltage setting required. AUTO REGULATED VOLTAGE keeps your voltage constant! 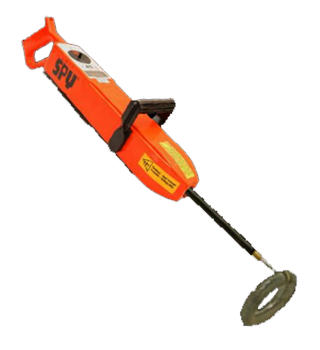 Over a range of two inch through sixty inch pipe the detector output voltage automatically adjusts under the working load to the voltage levels you set. 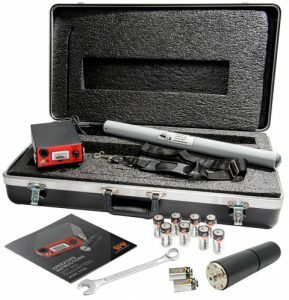 Now you can forget compensations for pipe size, or moisture on the pipe – the detectors automatically make these adjustments. QUICK RELEASE BATTERY easily slips into position with a snap that announces positive contact and a secure lock in position. Two batteries and a universal charger are part of the kit. For continuous service, one battery is kept charging (approx. 8 hours) while the other powers the unit. Horn and light for holiday indication. Quick and easy battery installation. Integral Voltmeter to verify voltage setting. Light cycles off to indicate holiday is present. Louder audible alarm for heavy equipment environments. Lightweight and durable construction with proven leading edge circuitry. In nite speci c voltage adjustments on the y.
Molded ABS plastic construction assures secure weather-proof protection for detector and components. Parts are cushioned in a molded insert. Full-length piano-type hinge, rugged catches. Average domestic shipping weight (dependent on electrode size): 35 lbs. Export air shipping weight: about 50 lbs.